Welcome to ENT Care, an initiative by Dr Anita Krishnan. Her experience as an ENT specialist and surgeon in Bangalore helped her understand the challenges faced by urban technology professionals with regard to ENT related health issues. Through the ENT care website, she focuses on the health impact of today’s changing lifestyles and on guiding busy professionals to solutions tailor-made for them. To make the right decision on health and medical treatments requires access to authentic information on all possible options. Everyone deserves to get the treatment that fits their priorities and unique requirements. This has to be backed by experienced professionals with an ethical outlook and access to the best facilities. Beyond providing the right choice of treatment, Dr. Anita Krishnan’s practice ensures that you are personally guided through every phase of the treatment with best facilities and monitored through your post-treatment phase and beyond. The focus is on a blend of a trusted, personal relationship and indepth experience that delivers results. Manage the quality and length of your hospital stay in cases where options are available. Make the right decision on surgical intervention including considering non invasive alternatives. 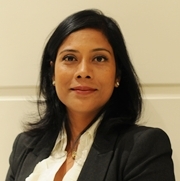 Dr Anita Krishnan outlines the causes and management of this condition Tinnitus is an annoying sensation of hearing a sound when no external sound is present.In a majority of cases,tinnitus is totally subjective where only the person suffering from it can hear it. Chronic sinusitis or rhinosinusitis is a condition that affects almost 134 million people in India/which means one in eight do not have a healthy sinus. The number of affected persons is more in the metros like Bangalore, Mumbai and Delhi thanks to the higher levels of pollution and lesser green spaces and fresh air. Clinical research proves that the Balloon Sinuplasty method of surgically addressing chronic Rhinosinusitis is a proven, minimally invasive option for dilating blocked sinuses.Chronic Sinusitis or Rhinosinusitis affects almost 134 million people in India – which means one in eight of us do not have a healthy sinus. Find out everything about ENT surgery for your treatment, ranging from simple procedures to cutting edge surgery. Contact ENT Care to get help in choosing the best option. Learn more about the most common ENT related health issues, and the kind of treatments available based on the nature of your problem. Contact ENT Care to fully understand and treat your health issue correctly. “To a great extent our capacity to taste food depends on our ability to smell.” Dr. Anita Krishnan writes for the July edition of Apollo’s B+ve magazine. Watch out this space for the latest in the world of ENT Care. Managing Chronic ENT problems is a challenge that requires having the right information and constantly keeping updated with treatment options. Contact ENT Care to get professional help on managing Chronic ENT health issues. Copyright © 2018 Dr. Anita Krishnan | All Rights Reserved.